A vital part of achieving the outcome you desire is to set goals. Your goal doesn’t have to be a time, especially not when trail running because the conditions can play a big part in how long it takes you to complete the course. Nor should your goal be positions, because that is also out of your control, one day there might be lots of fast runners and another very few, so your positions will not be consistent. You can however have both these type of goals as “A and B” goals, “My A goal is to run under 60 mins, my B goal is to be in the top 15, my C goal is to be 20% behind the fastest in my category”. That way if something does not go to plan in one area you still have a chance to achieve a similar goal. I like to set goals such as “on 24th August I want to be in the best shape I can and feel as good as possible”. This goal leaves me open to add in new tiers/levels to the goal such as “the best shape I can… without effecting my home life … training smartly to avoid sickness or injury … while work is stressful …”. 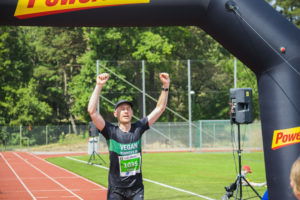 Stockholm Trail might not even be your A race of the season but a top quality “training race” where you get to practice setting goals and see what works best for you. Once you have decided your goal/goals you can start to look at the “stepping stone goals” or “training goals” of how to achieve the main target. Let take my “best shape” goal, I would think about how I get to be in my best shape and what smaller steps should I take to get there. Maybe I need to train a more consistently? Maybe increase my endurance? Maybe become faster? If I work on one of these at a time and set some smaller goals along the way I will be able to be in my best shape for the race. I will give you an example with endurance. 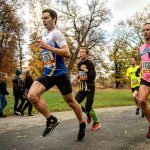 This could be my situation “need to be able to run in the forest for 90-100 mins at Stockholm Trail, but at the moment I struggle to run for more than 60 mins”. From here I can set some stepping stone goals, “in February I will make my longest three runs 60 min, in March my longest three runs 70 min ….” Until 105 min is comfortable. Good luck! Trail running is like any other running but more fun! !